A great source of shame during the rise of Nazism were the many warning signs of Jewish persecution. Often nations like the United States limited the number of Jewish refugees. The reasons included anti-Semitism, the desire to play it safe politically and desire to save money. As a result many thousands died needlessly. Similar oppression is happening to Christians throughout the Middle East. From 1910 to 2010 the number of Christians in the Middle East – in countries like Egypt, Israel, Palestine and Jordan declined. Once 14% of the population, Christians now make up roughly 4%. In Iran and Turkey they’re all but gone. In Lebanon long a Christian stronghold, the population has shrunk from 78% to 34%. Over this period many have been killed and many more forced to migrate as the result of civil unrest and religious intolerance. One of the unintended consequences of the invasion of Iraq by the United States in 2002 was the destabilizing effect on the religious and ethnic minorities that make up the region. As bad as Saddam Hussein of Iraq and Assad of Syria were, their secular political parties provided protection from extremist elements. While there were great injustices perpetrated by both dictators, they did provide for freedom of worship. The political destabilizing in Iraq and now Syria has unleashed long simmering animosity between two branches of Islam, Sunni which makes up 80% of Muslims world wide and Shia which comprise the balance. Their infighting has resulted in the rise of extreme elements such as ISIS. 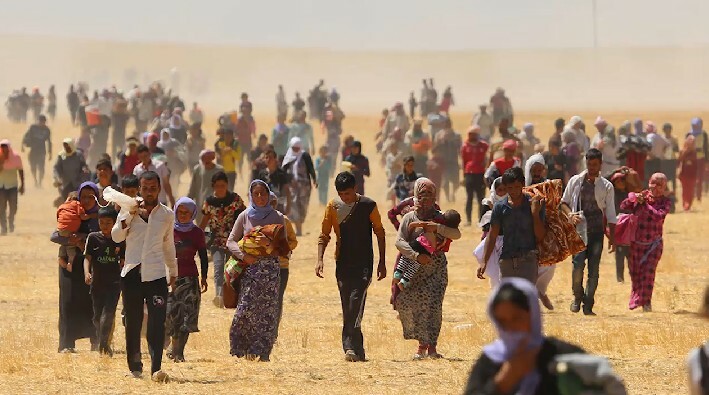 ISIS is committed to ethnic and religious genocide, persecuting Christians along with other ancient ethnic/religious groups (Yezidis, Druze, Zoroastrians). Each group has suffered but according to the United Nations, Christians are being particularly targeted. A typical story is that of a young mother named Rana whose Christian village in northern Iraq was captured by ISIS. Rana’s husband was murdered, she was sold to be an ISIS wife and her 3-year-old daughter, Christina was sold to another ISIS family. 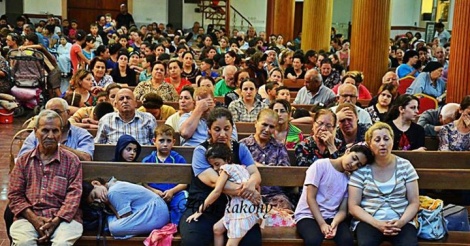 While this tragedy unfolds most Christians outside the Middle East are indifferent. The reasons for our indifference include: Desire by progressives to not to be seen as disrespectful of Islam; the siding of Christian conservatives with Israel. (Many eastern Christians support Palestinian rights, alienating them from western evangelicals); most Christians in the West have never experienced persecution; a growing secularism in the West. Such factors tend to separate us from the daily reality of Eastern Christians. Since the invasion of Iraq 50% of Christians have fled the resulting political instability and infighting between Sunni and Shia Muslims. Many fled to Syria. Now with the civil war in Syria 2/3 of the 600,000 Christians in that country have fled to Turkey, Lebanon, Jordan. Since the time of Christ these communities of faith (Assyrians, Chaldeans, Orthodox, Copts, Marists) persevere. Now according to the UN commission on human rights, many are at risk of being wiped out. How do we Christians in the West respond? Too often we offer a collective shrug and barely remember to offer a prayer. https://www.facebook.com/DemandforAction And, commit yourself to the daily practice of praying for the needs of our sisters and brothers in the Middle East Christian and other persecuted minorities. Let us pray too for the well being of the many moderate and innocent Muslims who have suffered under the heavy hand of extreme groups like ISIS. May our hearts and minds expand so that the pain and hopes of others, becomes our pain and hope too.